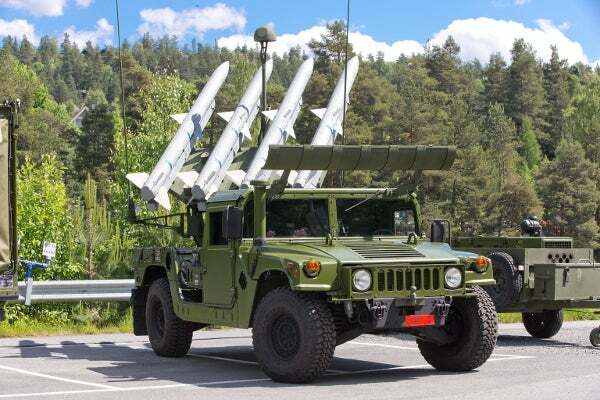 The Royal Norwegian Air Force (RnoAF) has taken delivery of the first High Mobility Launcher (HML) from Raytheon for use on its National Advanced Surface-to-Air Missile System (NASAMS). The delivery forms part of a multimillion-dollar contract secured by Raytheon and its partner, Kongsberg, for supply of an unspecified number of HMLs to help enhance the NASAMS system’s overall capability in December 2011. Raytheon Integrated Defense Systems’ (IDS) Integrated Air and Missile Defense vice president Sanjay Kapoor said RnoAF represents the first international NASAMS customer to have received a HML. "This is an important milestone for Raytheon and our partner KONGSBERG because of the transportability, safety and security it brings to the manoeuvring forces when countering evolving threats," Kapoor added. Equipped with an advanced launch electronics package, HML is a lightweight missile launch platform designed to carry up to six advanced medium-range air-to-air missile missiles mounted on a high-mobility multi-wheeled vehicle. Featuring GPS and north-finding instrumentation for rapid system placement and battlefield positioning and improved target engagement accuracy, the package is scheduled to be integrated by the air force in its existing canister launchers fleet to help lower maintenance and lifecycle costs. Jointly manufactured by Raytheon and Kongsberg Defence and Aerospace, NASAMS boosts the soldier’s ability to identify, engage and destroy existing and evolving enemy aircraft, unmanned aerial vehicles and cruise missile threats. In addition to being operational in the Netherlands, the system is also used in Finland, Spain and the US National Capital Region. Image: A High Mobility Launcher for the National Advanced Surface-to-Air Missile System. Photo: © 2013 Kongsberg.